Woodburning stoves North Yorkshire wide are becoming a great favourite among householders wanting to reduce their carbon footprint. But for the uninitiated, why does that matter, and why are these types of Yorkshire stoves so much better for the environment than the alternatives? Here, we take a brief look at the issues. Firstly, carbon dioxide (CO2) is generally produced when humans burn fossil fuels like oil, coal, and gas. Too much carbon dioxide increases the so-called ‘greenhouse effect’, where heat is trapped by the atmosphere instead of being released into the space beyond. This causes the planet to become warmer than it should naturally be. By reducing the amount of carbon dioxide humans use, we can help prevent this potentially harmful global warming. That means looking for alternative solutions to create energy and heat; that is, ones that will not result in excessive amounts of CO2 being released into the atmosphere. You’ll hear people and businesses talking about becoming ‘carbon neutral’. The point of this is to ensure that we balance out the amount of CO2 we release with the amount that is used naturally, so there’s no excess. Woodburning stoves North Yorkshire and beyond help in this process because they don’t rely on fossil fuels that typically generate a lot of carbon dioxide. When wood is burnt, it produces far less CO2 than alternative fuels. Moreover, unlike fossil fuels, it’s a sustainable resource. The process of planting, harvesting and replanting means that the small amount of carbon dioxide produced when wood is burnt is balanced out by the gas consumed by these new, growing trees. Woodburning stoves North Yorkshire wide, therefore, really are helping make a difference to the environment. 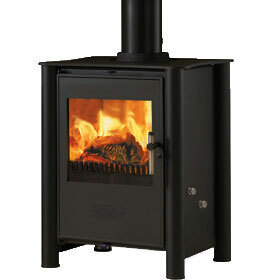 If you want to know more advantages of wood burners, ask the expert team at Leeds Stove Centre. See our website for our product range at https://www.leedsstovecentre.co.uk/, and then telephone us on 0113 255 5622 with any queries.